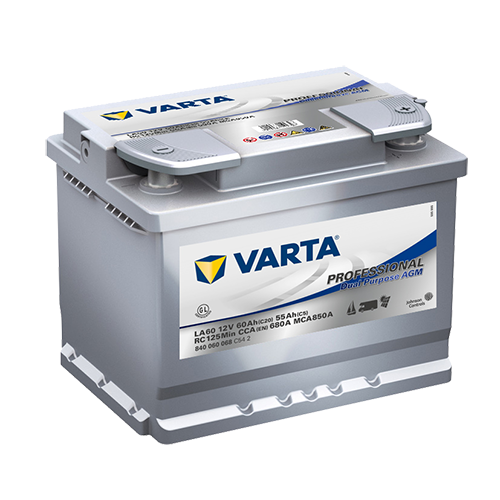 For leisure applications with moderate energy demands, VARTA® Professional Dual Purpose AGM batteries can be used to start the engine of your motorhome and deliver service power for accessories and electronics. These batteries are ideal for seasonal use, so when you take your boat or caravan out of winter storage, it’s ready to go. 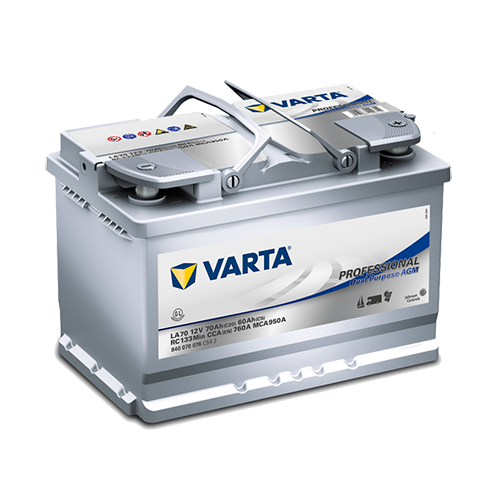 Why VARTA® Professional Dual Purpose AGM Batteries? 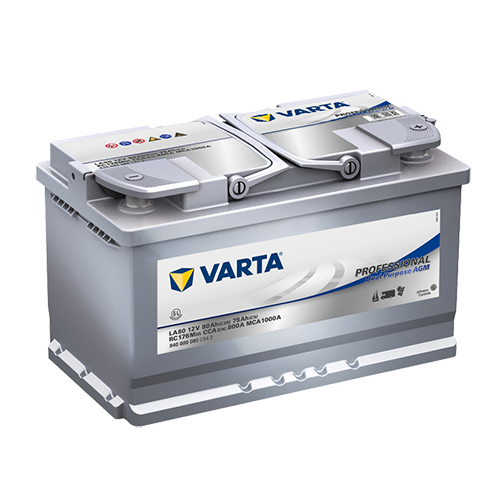 Powered by Johnson Controls Power Solutions, VARTA® Professional Dual Purpose AGM batteries are trusted by customers globally. 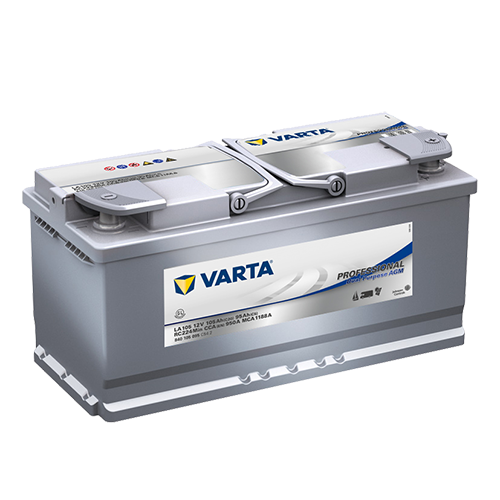 VARTA® Professional Dual Purpose AGM batteries provide longer life, less corrosion and lower cost of ownership. Take your vehicle to a workshop which works with VARTA® in order to experience excellent replacement service.